The first is carved as a kneeling boy holding a duck, the stone is of an even white tone. The second is a pale celadon carving of a boy on a drum. 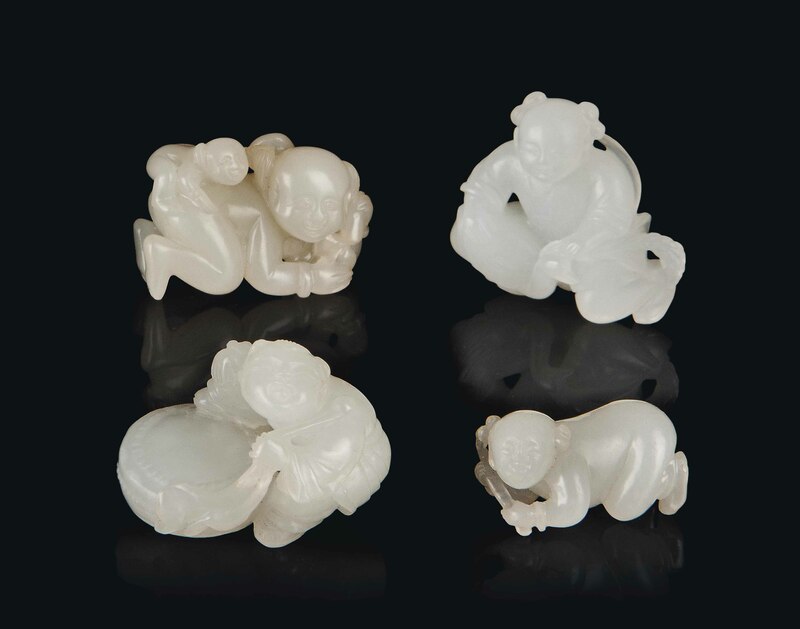 The third is carved as a crouching boy with a sprig of lingzhi, the stone of a pale celadon tone. The fourth is similarly carved, the stone of an even white tone. The first, acquired on 10 November 1984.